What if England didn't win the 2005 Ashes? Edgbaston 2005 is one of the greatest moments in English cricket history, probably all cricket history, possibly all history. They finally threw the monkey off their back, kept their nerve and set the wheels in motion for the next ten years of Ashes rivalry. But what if they didn’t? What if a hawk-eyed Billy Bowden saw macho Australian fast bowler Michael Kasprowicz panic and try to drop his bat in fear as the ball headed in his direction? In the finest umpiring decision of the age, England are denied their moment of triumph. The next ball is carved to Ashley Giles, who trips over his own feet and lets the ball through his legs. 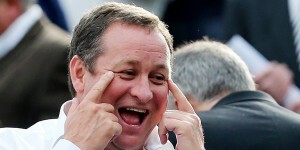 England have lost. What now, apart from Bowden moving into adverts, a cameo in Neighbours and eventually bit-parts in Bollywood movies? If the media reaction to the Lord’s defeat was bad, now they really got stuck in. Whilst the Mail blamed the defeat on foreign-made bootlaces, and a sympathetic Mirror’s front page headline was “KING OF PAIN” above a picture of Andrew Flintoff consoling a sobbing Giles with Brett Lee celebrating in the background, the Sun gave the Warwickshire man an absolute kicking, with their nickname of choice “Gashley” soon becoming a playground insult across the country. Left with little choice but to drop a dejected Giles, England were forced to select the best-performing spinner from the Championship that season, namely Kent’s Min Patel. Unfortunately the hosts continued meekly at Old Trafford, with the game notable for suspicious talk about why Flintoff played the entire game in sunglasses and wasn’t given a bowl on the second day, instead watching Ricky Ponting wrapping up a double-hundred from the safety of deep third man. At the other end, Shane Warne famously finally reached three figures in Test cricket for the first time, whilst Patel reached a milestone of his own, with match figures of 0/250. With the urn once again metaphorically booked onto a Qantas long-haul flight to Sydney, England headed to Nottingham hoping to recover some lost pride. But with Flintoff ‘rested’ and Patel swapped for Northamptonshire’s Jason Brown, they plummeted to another humiliating defeat, with only a battling century from Paul Collingwood taking England into a fifth day (Brown improving upon Patel in the process with 1/251 in the match). Worryingly we didn’t even have to photoshop this. Not even in the darkest days of the ’90s had England been whitewashed by the Aussies at home, and certainly not by a team that included Shaun Tait. Looking to bring experience to the batting order for the final match, the selectors turned back to Mark Ramprakash, in place of Ian Bell (whose career faded alarmingly after that setback, and he was last seen asking Duncan Bannatyne to invest in his Sledgehammer business on Dragon’s Den). His scores of 27 and 29 were enough for him to get selected for the winter tours, but not enough to prevent the Australians romping home again, with Shane Warne taking the vital catch that removed the impressive Kevin Pietersen just as the game seemed to tilt towards England. In front of an empty Oval, Matthew Hayden and Justin Langer knocked off the runs that sparked an almighty drinking session (or so the pictures of Simon Katich passed out in one of Trafalgar Square’s fountains wearing nothing but his thigh pad suggested). After the hope of early summer, England ended it in disarray: their bowling attack found formulaic at the highest level and their batsmen, Paul Collingwood aside, mentally weak under pressure. Michael Vaughan resigned, with Marcus Trescothick forced to take over as captain. Flintoff became a tragic figure – battling against drink and goodness knows what else – his career at Lancashire staggered from failure to failure, with only the odd glimpse of just what he could do. The Sun went with the “Possums 5 Pussies 0” headline, whilst the Star raised more than £45,000 in a campaign to buy Duncan Fletcher a one-way ticket to Harare. Yet from such a disaster did England soon prosper. James Anderson and Graeme Swann were added to the side, and although Trescothick soon resigned, stating personal reasons, Paul Collingwood was found to be an excellent leader. Within eighteen months England were competitive in all formats, rejuvenated under the Durham man. 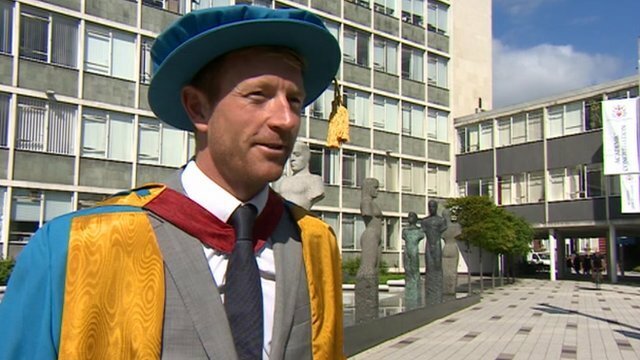 Paul Collingwood: no MBE but a MSc in wearing funny hats. Meanwhile 2005 saw Australia’s legends begin to step down from the international game: Ponting first, heralded as the finest captain of his generation, and then with nothing left to achieve in the game, the others followed. Although Brett Lee and Hayden hung around for the next Ashes series, Warne had new ideas: combining his love of cricket and his passion for gambling, he was the cricketer integral to the setting up of a new T20 competition, featuring the best players from around the world. In 2007, as Collingwood led England to victory at the SCG to bravely draw the Ashes 2-2, Warne was already recruiting Pietersen, Gilchrist and Dan Christian for the inaugural Australian Premier League. And cricket would never be the same again.